Early in the morning of Thursday 5 December, two residents of the small Zapotec town San José del Progreso, located in the southern Mexican state of Oaxaca, disappeared. It is presumed they were detained by federal agents*, reports local NGO the Oaxacan Collective in Defence of Territories. The detainees are identified as Olegario Víctor Ruiz Martínez and his wife Salomé García López. They are both members of the Coalition of United Peoples of the Ocotlán Valley (CPUVO using the Spanish initials), an organisation that has opposed mega development projects in and around San José del Progreso. This includes opposition to the nearby Cuzcatlán silver mine run by Canada-based Fortuna Silver Mines. 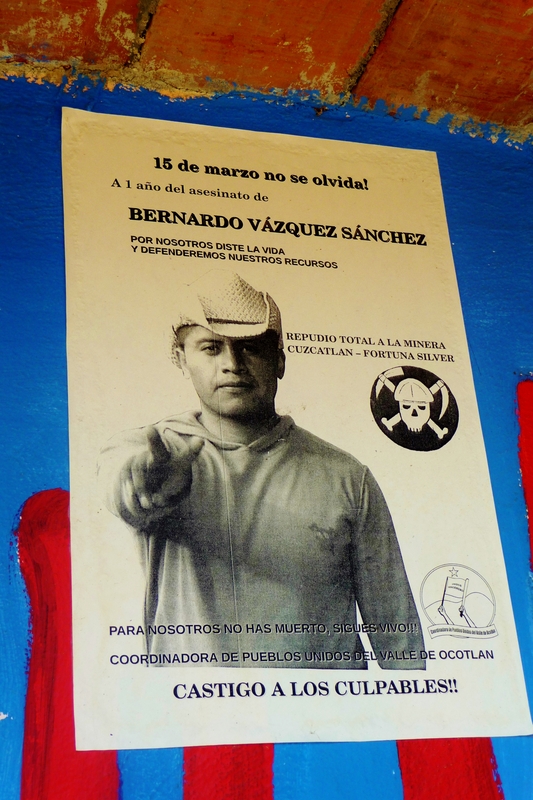 Two CPUVO members were killed in 2012 and several more injured as mining-related confrontations escalated in the town. The Oaxacan Collective expresses concern about both arrests, since they can be treated as acts that put lives in danger; as attacks on personal freedom, occurring outside legal proceedings; as [the pair] being held incommunicado; or as forced disappearances, all of which are prohibited by Articles 20 and 22 of the Mexican Constitution. – The immediate intervention of the Ombudsman for Human Rights of the People of Oaxaca to assist in the prompt location of Olegario Víctor Ruiz Martínez and Salome García López. Once located, [the Ombudsman] should certify their physical and emotional state and initiate the corresponding complaint for violation of their rights. – That the Attorney General’s Office in Oaxaca immediately informs relatives where the detainees are currently located, their state of health and the charges pending against [them], or otherwise release them immediately. – That the Commissioner for Human Rights of the Government of Oaxaca intervenes to assist the families in finding both detainees quickly.